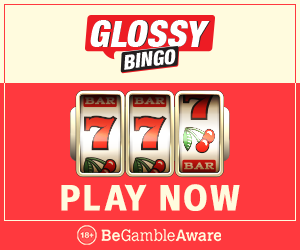 Glossy Bingo is a new kid on the block. Enjoy Slots, Bingo and a sense of community. 40x bonus wagering required, max bet £6.25 until completed. Game weighting applies. 2 day expiry for bonuses. eWallets excluded. T&Cs apply. Minimum deposit of £10, Play with £40 and Get 100 Free Spins. 300% Bonus up to £100 on Bingo. Offer must be claimed within 48 hrs of you registering an account.